Youth Radio - Charlie MGee Grow Do It! 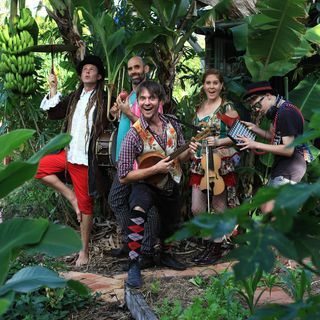 Jake, Miani and Zoe catch up with the the irrepressible, award winning, permaculture minstrel Charlie MGee from Formidable Vegetable Sound System! Charlie describes himself as someone who likes to write silly songs about food, gardening, permaculture and sustainability and he has been touring the world with his home-grown music and has played in over 14 countries from here in Australia to Portugal, Canada, USA and Glastonbury in England – and he has even been featured by the United Nations ... See More during the International Year of Soils! Charlie was in fact on our very first Funky Kids Hour show back in September 2016 and it is with great pleasure that the team welcome Charlie back to the show to find out what he’s been up to lately!